Ischia, despite being an island, is very easy to reach. First of all you have to reach Naples which is easily reachable with different airlines. Alternatively, you can arrive with a flight to Rome and then reach Naples by train. Once in Naples you have to reach the port to embark for Ischia. 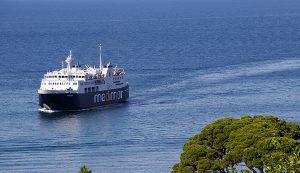 In Naples there are two ports not far from each other: Calata Porta di Massa where you can embark on ferries that cost less and Molo Beverello where you can embark with hydrofoils that take less time to reach Ischia. To reach the ports of Naples we advise you to consult our guides to reach the port from the Naples or Capodichino airport. Iscla travel offers private transfer services to Ischia, both from Naples and Rome. Consult our dedicated pages or do not hesitate to contact us. More information about "How to go from Naples to Ischia"?